The "You shall not pass" one is unreal looking!! I'm quite happy with that one myself. agree , was looking at them yesterday and if i hadnt already bought my brother his xmas present that was a serious contender. Has anyone come across a 3D printed widened Snes cart slot? I remember we were talking about them a while ago. Getting sick of using my action replay cart as a passthrough! The action replay keeps wiping my Earthbound save! Same issue I had with Super Metroid and that magic disk copier. Definitely not the cart battery? Initially I thought it was, but then I remembered years back when I played through Super Metroid first, I had the cart in a disk copier and it wiped the save every time. Seems Action Replays/Game Genies can too! 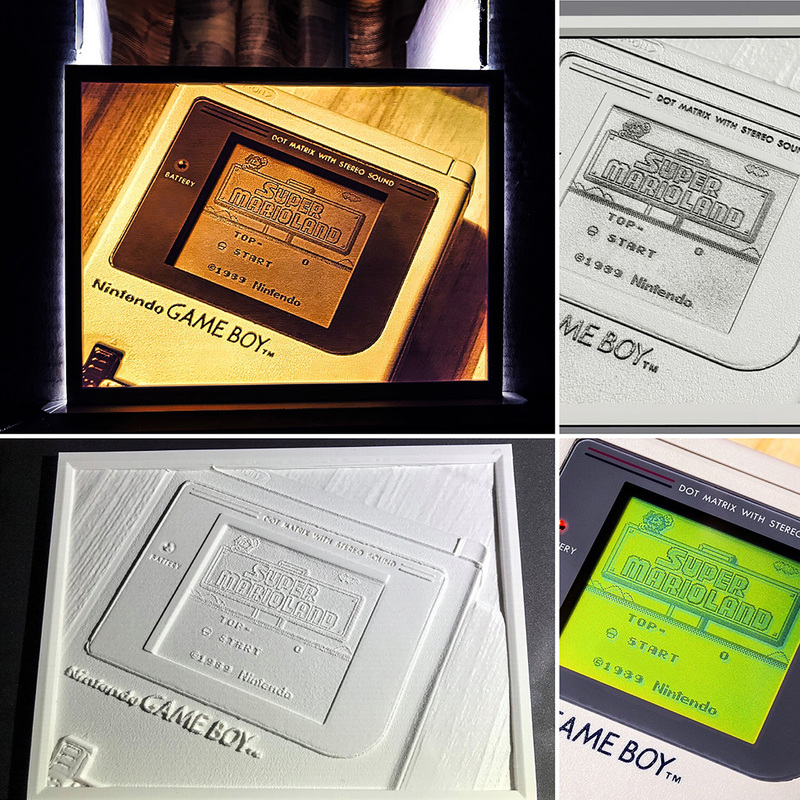 Free Game Boy 3D printable lithophane for those with 3D printers. You can also grab it on Thingiverse along with my other free stuff.